Flytographer 30 Minute Vacation Photoshoot<br>Connect with a local professional photographer in Napa-Sonoma and capture your most memorable moments during this private photoshoot. Get insider tips on the best things to do in Napa-Sonoma, including where to eat and what to see from your vacation photographer. Return from your trip with beautiful, high-quality, vacation photos.<br>The best souvenir ever. If you have an extended layover at the Napa County Airport or staying in town, why not consider getting out with some fun activities? We list a few here and there are many more on Napa.LayoverIdeas.com. Our beautiful Napa River History Tour provides you with an intimate view of the little known and rich history of the Napa Valley. Traveling with us by kayak we will expose the area from a unique insiders perspective revealing Napa's most provocative secrets. Embark on a unique tour of California Wine Country! 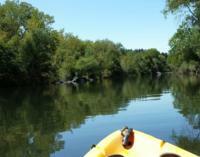 Hop in a kayak for a full tour along the warm, clean Russian River in Healdsburg. The tour guide will take you through a beautiful scenic route and point out native wildlife while you paddle leisurely through the calm waters. The tour includes one- or two-person kayaks, necessary equipment, safety lesson and lunch.